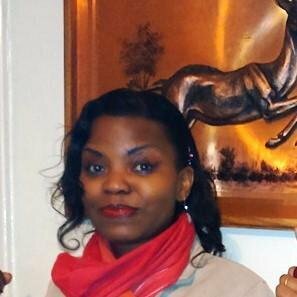 Today I am going to introduce you with one more power blogger Julie Syl Kalungi from http://juleskalpauli.com/ Interviews are the great way to know person, his struggle, life journey and achievements. It make all of us strong and also give inspiration to create our own world of happiness. Today we are going to publish interview with a professional Blogger, Interview with Julie Syl Kalungi. A : I am Julie Syl Kalungi a former Litigator, Neighbourhood Customer Services Managr, Tutor and now Trainer, Speaker and Home Business Entreoreneur. You can also find some of my trainings on my Podcast on iTUnes "Your Power echoes with Juleskal" and on SoundCloud. I love to share whats working for us so others can shorten their journey too. I am one half of the Creators of “The Secret Affiliate Roadmap,” “The Ultimate Lead Grabbing Sales Letter Guide” and ” Kal Systems,” a home Business Blue Print to help new and struggling Home Basd Business Entrepreneur breakthrough to residual income? I am also a Dedicated parent who loves having plenty of time to spend with my children thus a WAHM! My Dream is to ensure they achieve their potential debt free and loving their lives totally! I am world-class expert at teaching entrepreneurs the exact strategies to make more money online, more easily while enjoying a business and lifestyle thats built around Your top priorities. Very simply, together with my Partner, we have successfully developed a database of 1000’s of leads that are resulting in a number of new distributors that would not otherwise have been enrolled. We teach what we know and do to our Clients and team members. If you are struggling to get some tracion in yor business you might like get jin touch with me for a free 25 Min strategy chat so we can see how I can be of help to you. Ans: I genuinely have wanted to blog and share what I know for the longest. I am a giver at heart and so it started as me sharing long worded posts on Facebook. So I was literally writing mini blog posts. With tips, Ideas and lessons, failures, success you name it. I shared it on facebook. One day a friend sent me a link to a "Blogspot article she had written promoting her products with images etc. I asked how they do that, she told me its a free platform on Google where you can express your self or whatever and share the link with just a snippet on Facebook. She recommended I try it and thats how I started my very oen Online blog spot @juleskal-alpha.blogspot.com :) How times have changed from then, I son moved to wordpress @Juleskal.wordpress.com and carried on my micro blogs! I also had just started with an affiliate platform which I shall not name, and I honestly had no clue how to promote it so I shared all about it lol. I attracted over 200 team members to my personal team via these micro facebook blogs or Newsfeed updates. It was then okay to share all kinds inc. business links, affiliate links etc on one's profile. Today facebook frowns on that and its really bad marketig lol. Times change. I then was introduced to Ray Higdon and Tanya Aliza, some of the best network amrketing Bloggers in my opinion. Tanya Aliza intrduced me t Pro-blogging and Viral Content Buzz where I connected with even more bloggers. I was addicted. How I find the right people? By researching them via Social Media, Social mentions, Search engines and In te last 12 or so months ATTRACTING them through the value content I share online esp. via our blogs, Podcasts and Scopes where I can be found @Syl_JuleKalungi! - Social media changes so much so its clear most are monetizing and that's okay. Just that they aren't social anymore They are more Business platforms. Pay to play. I chose 3 platforms and focus my energy and resources on them i.e. Facebok, Pinterest and Twitter! I of course dabble on the rest but focus my energies on these 3. - The negativity, doubts and Mindset of many people is actually so steeped in lack and enslaved to what they must do as opposed to what They Can do to change their lives. So its a matter of keeping educating them to whats possible and to rise and shine to their glorious divine purpose. - Of course there is so much out there so much to do, 24/hrs per day. Its a matter of prioritizing...What do you prioritize? Its a question I have to ask myself daily and keep to my to-do list or forget getting any thing done. 2. 90 minute segments of Focused Business Activity As per my Google Calendar and Calendar Schedule! Inc Content creation, Distributing and Promotion, Social media management, Active prospecting and Follow up and Actually connecting with my New and old friends. 3. Family time, Meals, Homework Fun stuff. and Day audit at about 9:30pm Note My Day's achievements, Quick meditation to get ready for bed. Set the next day's To do list based on above calendar gen schedule. and Bed time at between 10:30-11 max! There you got it in general. MY Daily routine 5 days a week. Weekends are family time :)! Ans : I believe I shared what blogging means for me in the question regarding Whether Blogging can Change a person's life. I belive thats what its there for. Blogging to me means Investing in Myself development learning new skills and sharing via te blog posts. It also means testing out what is working or has worked before for me and sharing or teaching otehrs so their journeys are cut shorter. ON Pkjules world we focus on all things Travel and Lifestyle related. Your Quit essential Luxury Travel hub and we have a truly dedicated following and audiences. so blogging for me means serving our audience and helping them get to their desired lifestyle ir online income too! 1. entrepreneur based Blogs that actually TEACH something and don't leave me wondering what the solution was. Tutorials type blogs or power packed 2500+ word blogs. 2. Travel and Fun stuff blogs that share people's travel experiences, give me tips on what to do and where to go etc. and also take me on a journey of their explorations. So I literally live their trip and possibly add that destination to my Bucket List! Don`t forget to share about Interview with Julie Syl Kalungi on your social profiles. If you want me to Publish your interview, feel free to contact me.